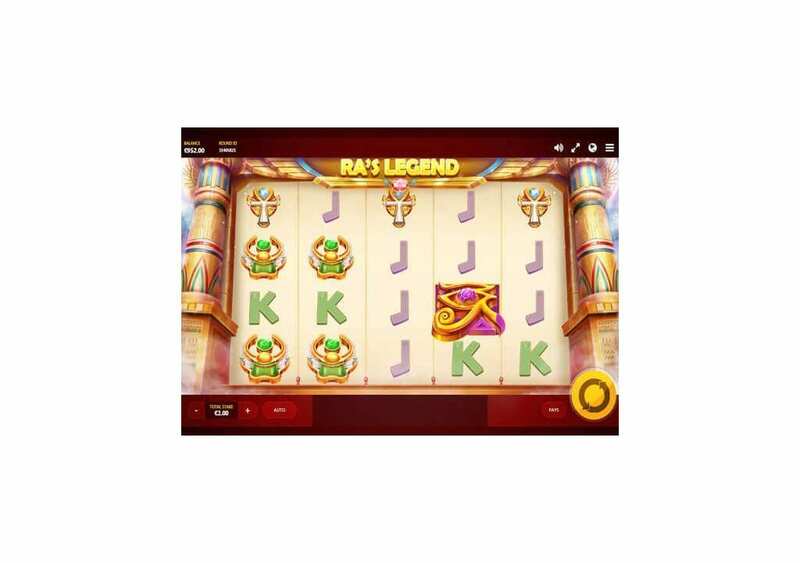 Ra’s Legend is a new slot machine by Red Tiger Gaming that has been releasing plenty of slots lately. The latest slot machine is the one we have here, and it takes you to Ancient Egypt for a one of a kind experience into Ancient Egypt. You will join the gods and the mythical creatures in the Mythology of Ancient Egypt. You will not only enjoy the mythical adventure, as you will be able to claim plenty of rewards and fortunes. The slot machine comes with five reels with 40 stake lines. It also provides you with a great set of bonuses and features. 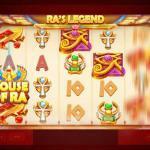 Ras Legend by Red Tiger Gaming is the brand new online slot by the developer. As the title of the online slot shows, the new slot is going to take you to the Ancient Egyptian lands with all of its mythology and gods. You will enjoy an Ancient Egyptian themed adventure that comes with plenty of winning chances and bonuses. 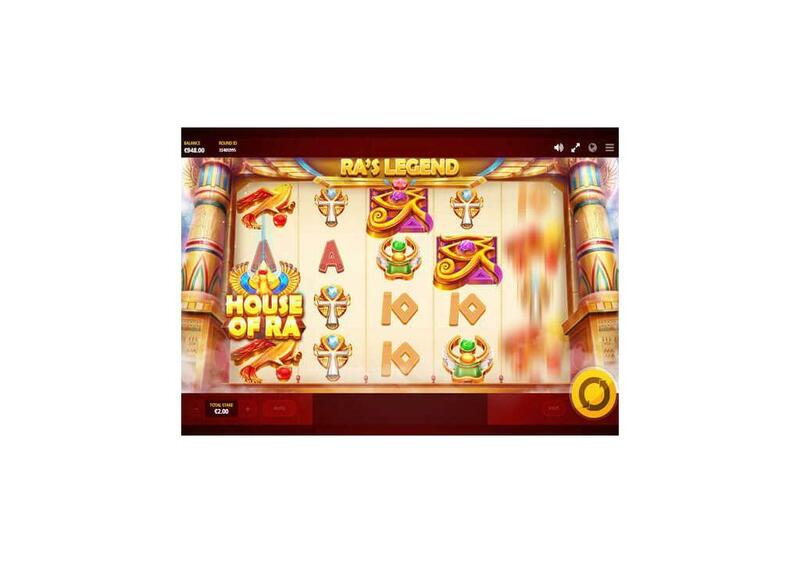 You can spin the reels of Ras Legends here for fun, to see for yourself what the new Red Tiger Gaming slot has to offer you. 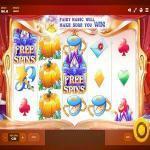 Therefore, you will be able to check it before placing real bets at online casinos that offer the slot. 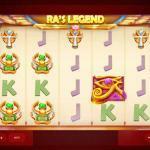 Ra’s Legend is the latest slot machine by Red Tiger Gaming. 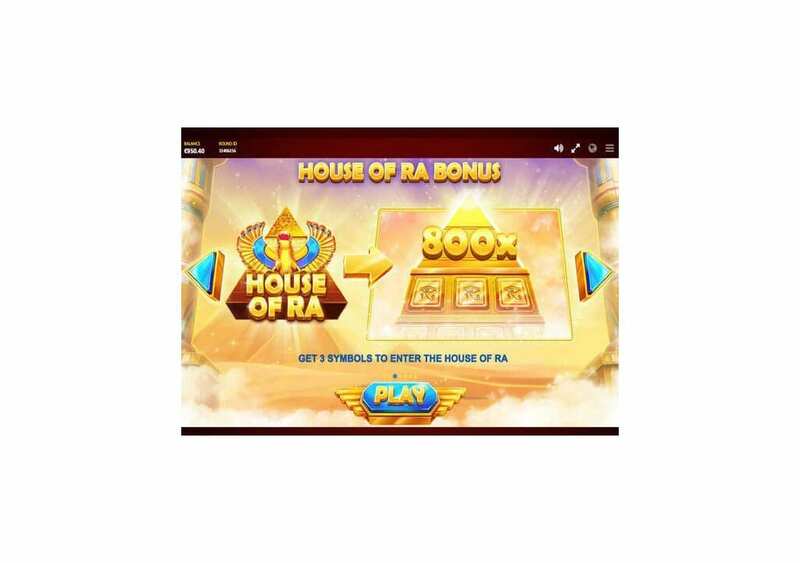 The online slot's theme revolves around one of the most significant gods in Ancient Egypt, Ra. The legend and the myth-themed slot machine has a classy design with some amazing and cracking extras. You will travel to Ancient Egypt and accompany Ra the god of the sun in a great adventure that is full of winning chances and features. There are 40 lines on the reels of this slot, in addition to the bonus features that you can take advantage of during the gameplay. You can also place stakes that vary between 0.20 and 500 credits for every single spin, as all lines are active at all times. The slot machine is playable on multiple devices including mobiles, tablets, and computers. The slot machine has an ancient Egyptian theme. While most slots just focus on the treasures and the fortunes of ancient Egypt, this slot machine takes you deep into its mythology. The slot machine revolves around the Sun God of ancient Egypt; Ra. Ra was a half man, half bird god. You will join the god of the Sun in an excellent adventure while also claiming your share of the Ancient Egyptian golden fortunes and treasures. 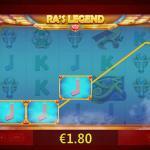 Ras Legend is a five reeled slot machine that comes packing 40 stake lines. All lines are active at all time as you will select from a set of stakes to place at the Bet cell. 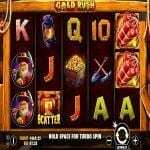 The game has four rows of symbols that result in the 5×4 grid of the slot machine. You will see that the reels take place in ancient Egypt at the façade of an Ancient Egypt temple for the god Ra. You will see colorful columns that hold the ceiling of the temple with writings on them. The control panel is in its usual location underneath the reels. As for the symbols that will land on the reels, they include the God Ra, golden ancient Egyptian writings, the eye of Ra, the scarab, the ankh of resurrection, the falcon and poker card symbols. Ra’s Legend has a high RTP of 95.02%. You will be able to check out all of the payouts that the slot machine has to offer you at the payouts table. You can open it by clicking on the “Pays” button that is next to the spin button. To claim a prize, you will need to get three matching symbols on any of the 40 stake lines that the online slot has. The highest award that you can claim is equal 1200x. You will need to get 5x wild or 5x Eye of Ra to claim that award. As for the stakes, they vary between 0.20 and 500 credits for each spin of the reels. 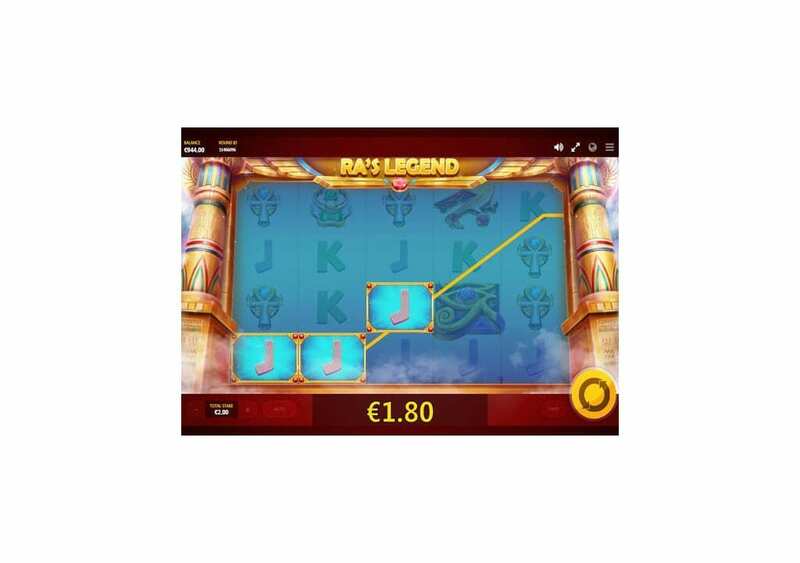 Ras Legends is a Red Tiger Gaming slot machine, and therefore, you can expect to find plenty of bonuses and features whenever you decide to give the slot machine a few spins. These features include a wild symbol, House of Ra Bonus and Wheel Bonus. Ra, being one of the greatest gods in the Ancient Egyptian mythology, he is the wild symbol. The Mighty Ra is going to use his godly abilities to replace all other symbols on the reels, except other bonus icons. It will replace the symbol that is going to give you the biggest award possible. The Wild can become a sacred wild when it lands in stacks to cover the entire reel. Sacred Wild reels can help create multiple winning chances through which you can earn up to 1000x the stake. The Sacred Wild Reel will remain in its position for up to 8 spins. You can trigger the Reels of Gold Feature at random during the gameplay. 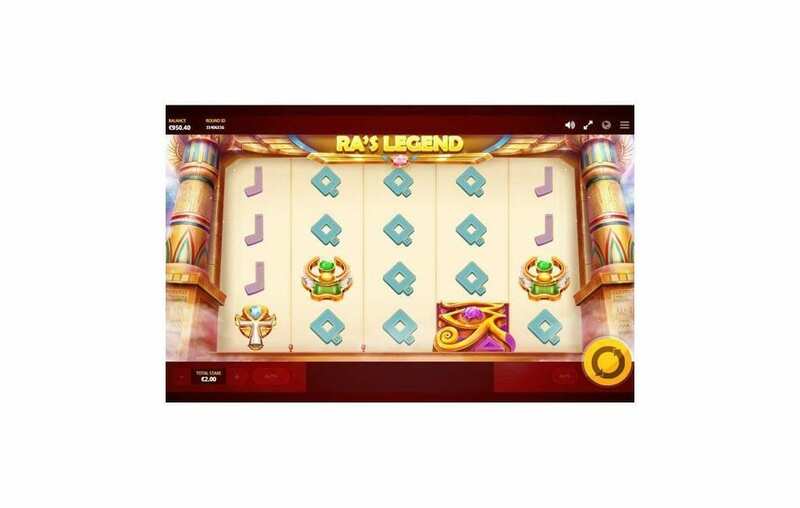 Ra is going to select certain Reels that will only have the high paying symbols of the slot, which are the golden hieroglyphic icons. 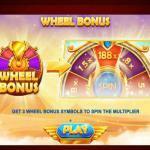 Whenever you succeed to get three wheel bonus icons anywhere on the reels, you will trigger the Wheel Bonus Feature. 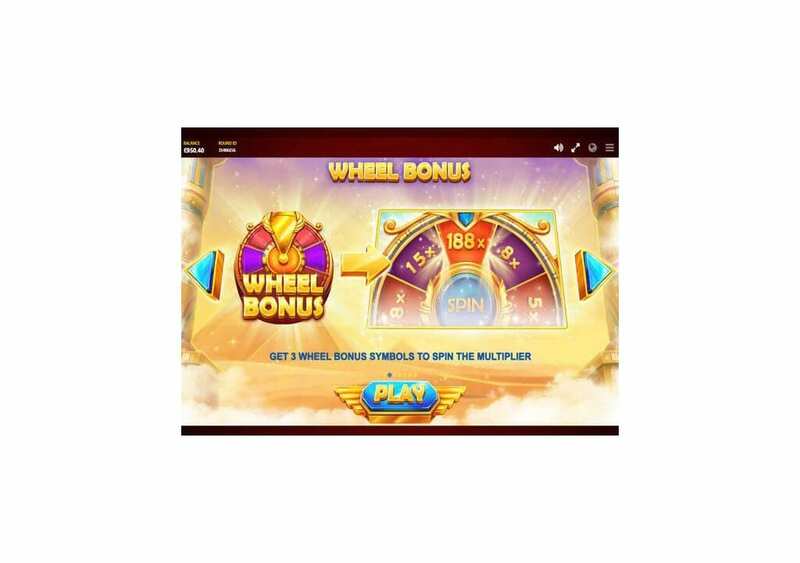 You will spin the wheel that is full of rewards that can amount up to 1000x the stake. The house of Ra is yet another bonus round that grants you entrance into the Golden Pyramid. 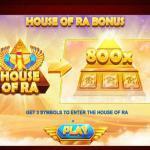 In order to enter the pyramid, you will need to get three House of Ra icons anywhere on the reels. You will try to climb up the pyramid. You will claim higher awards as you climb to higher places of the pyramid. You can earn up to 800x the stake.